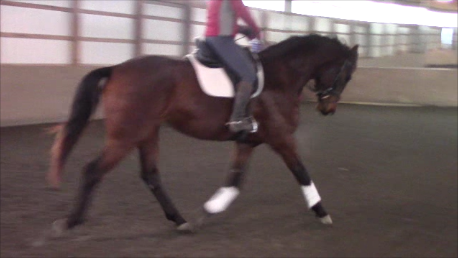 Zhezanne - GOV Gelding by Glock's Zonik! Zhezanne's sire, Glock's Zonik (Zack/Romanov/Don Schufro) is a new sensation on the World Cup dressage circuit. The only 10-year-old Zonik most recently was second in the FEI World Cup Grand Prix Freestyle in Amsterdam Jan. 25-28 with a score of 81.860%, right behind Isabell Werth and Weihegold. At his debut at Indoor Brabant 2015 as a 7-year-old, with a result above 78%, he won his class in the Small Tour. Furthermore, he became Dutch Champion in the Small Tour with an impressive score of 81.70% in the summer of 2016. As a 4-year old Glock’s Zonik impressed at the Danish Dressage Championships which he won with a final score of 9.3, where his trot was awarded with a 10.0. Glock’s Zonik also won the Danish Stallion Licensing. 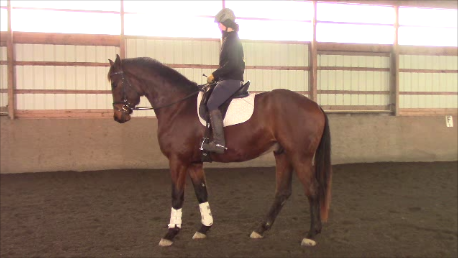 The handsome dark bay stands out with his power, elasticity and athletic movements and his natural elevation. His father Zack (by Rousseau) won his stallion licensing too. Grandsire of Glock’s Zonik in the dam line is top sire and Grand Prix winner Glock’s Romanov (Rohdiamant x Grundstein II – Akzent II). In 2016, Glock’s Zonik sired his first approved offspring. He won the 2017 Dutch National Championships with a Grand Prix Freestyle score of 82.525% on July 16, 2017. Edward Gal rode the only nine-year-old stallion. Earlier that year, they had their international Grand Prix dressage debut at their first international start at Grand Prix level at the CDI4* Den Goubergh in Roosendaal in early June 2017 where they managed a score of 75.780% in the Grand Prix. In the Grand Prix Special the following day, Edward and Glock’s Zonik confirmed their top form winning with 76.333%. Zhezanne's dam, Verband Premium Whaffle is sired by Welcome S (World Cup I/Grande). Welcome S was named Champion Stallion in 1989 in Verden, Germany. He was trained from a three-year-old onwards by multiple times Olympic Champion Isabell Werth and successfully competed at Grand Prix Level with her. 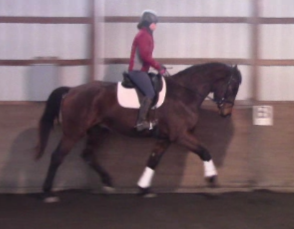 At one time, he was in first place in the world ranking of international dressage horses. He won a total of 89,951 Euros in his lifetime and he won many prestigious Grand Prix. Whaffle's dam is Elite Mare Acapella, the dam of Rolling Stone Farm's successful FEI dressage stallion, Shakespeare RSF who was the 2016 USDF Horse of the Year for Intermediare II with 74+%. Acapella is also the dam of many other successful offspring including the Champion foal at 2014 Dressage at Devon, and a mare (bred by us) which was given the highest score of the show at Dressage at Devon 2008 (87.2%!) and was Born in the USA Grand Champion.